Spur gearheads: We offer a complete line in sizes from size 8 through size 18 with gear ratios of 4:1 to 18,000:1. 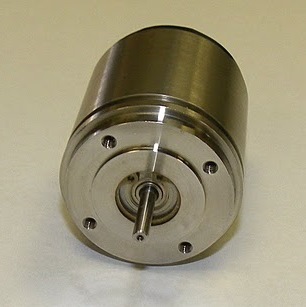 These units can be mounted directly on a motor or supplied as a special speed reducer. We can also add a friction slip clutch and anti-backlash, or offer higher torque. Planetary gearheads: Our standard line is designed for high torque in a compact size that fits with our general motor sizes. The gear ratio range is from 4:1 to 18,750:1. Special units can be manufactured. Custom-designed gear systems: Our special gearboxes can include worm systems, bevel gears, right-angle drives and anti-backlash systems. Sizes can range from 7/16" diameter to 7" diameter. We specialize in small lots. See Gearhead Motor Assemblies and Spur Gearheads and Planetary Gearheads.